Toronto, ON– Aug 15, 2011– ITC Systems, a leading provider of campus card solutions to colleges and universities has proudly partnered with University of Ottawa in creating a campus-wide e-Commerce solution consolidating its current multiple campus card systems. This vast multi-year project comprises of snack/beverage vending, bookstore purchases, dining purchases, laundry charges, printing/copying, and other e-commerce transactions. With the implementation of ITC Systems’ MultiPlan online student account solution, students reap full benefits of using a MiFare-based one card for all transaction payments across campus. The card functions like a debit card where transactions are recorded in real-time through an online account hosted by the university. Students can also check their account balances at any time through the web, while administrators and merchants can obtain activity reports they specifically need online as well. 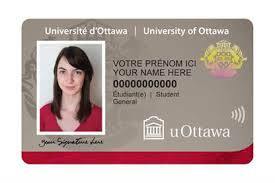 University of Ottawa’s Card Services is scheduled to go live with their one-card campus program as of September 2011. ITC Systems serves colleges and universities and a host of other market segments. ITC Systems’ products are used in campus ID card privilege control, access control, copy/print control, food service, laundry and other institution-wide activities. Founded in 1989, ITC Systems serves clients in the U.S.and Canada through offices in St Louis and Toronto. To learn more about ITC Systems, please visit www.itcsystems.com. University of Ottawa is situated in Ottawa, Canada’s capital city and is North America’s largest bilingual university with more than 55, 000 students. It ranks as one of Canada’s top ten research universities and offers over 400 academic programs combined on the undergraduate and graduate level. For more information, please visit http://www.uottawa.ca.